Although there have been many words crafted about Franciscan spirituality, it is essentially a spirituality marked by its simplicity. To understand our spirituality, we need to return to the time and context of Francis, and to understand his experience of conversion. In the time of Francis, Italy as a nation state did not exist. Each town—like Assisi and Perugia—were sovereign. It was a time of great political instability, a time noted by the Crusades, battles such as those which occurred between Assisi and Perugia, and internecine struggles between the classes of any town: the nobles and the merchants. Against this backdrop, we see Francis, pushed forward by his family to participate in commerce, to increase their wealth and standing, and to engage in the battles that would bring he and his family glory. And yet, Francis was also having his own personal battles as he struggled to understand his place in this medieval world marked by aggression and conflict. 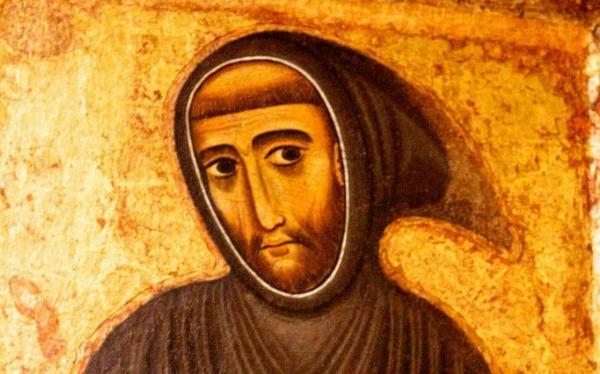 Out of these struggles emerged two pillars that characterised his thinking and his spirituality, and these pillars became the source of Franciscan spirituality. The two pillars are: Penance and The Presence of God in All Creation. It is these two pillars that are the core of the Spirituality of Francis of Assisi.